Are you finding your Project Management system effective? Bad Management systems are a drain on a business causing them to lose money and time. Sometimes they are even cause to look elsewhere for services. If you are not using one of the Project Management firms in Sydney, you may not be able to handle a lot of new projects. Additionally, you may find that you have taken on projects that are too much for your staff to manage. In today’s highly competitive market in Sydney, businesses must take on all work that comes their way and do it in an efficient and cost effective manner. Many business in Sydney are game to take on a challenging project, even when it appears difficult. If you hire any of the project management firms in Sydney, you will be able to bring your current projects to a timely conclusion and then take on bigger and better projects. Project Management software has helped a lot of businesses get their projects under control. This software provides the project manager with a lot of benefits and support. Among these are spreadsheets to help keep track of deadlines and printed reports for efficient presentations at meetings. With some management experience and a little time for learning, you may find that this software is a big help. Awesim Project Management firms in Sydney can help a business manage their projects if the Owner or Developer does not have the resources to compete the project on its own. With Sydney premier Project Management firm, you will be able to utilise well-trained, experiences Project Managers who can successfully handle all of your project needs. Good managers will implement a solid management system that can set deadlines and meet them, organise your projects , and give you concise, audited reports every week/month, letting you know just where your project stands. Our Project Managers who work for a successful Project Management firms in Sydney, are well trained in uniform methodology. A sound firm with a solid background reflects successful management of a vast array of projects. From big construction projects to smaller projects, Awesim Project Management can handle it all. We can organise all of you current projects and help you move on to bigger, more lucrative projects that you were previously unable to tackle. You will find a lot of pressure lifted from your shoulders, and you will be happy to see all your projects organised and current when you hire one of the best Project Management firms in Sydney. Additionally, this will enable you to accept more work than you could have otherwise, allowing your business to naturally grow. 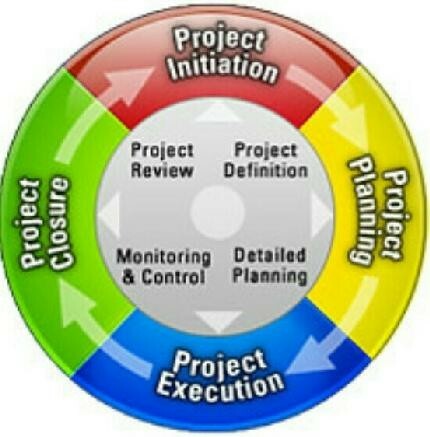 There are various reasons why projects can spin out of control. Often, a change in personnel, downsizing, or an overworked staff can cause this dilemma. No successful business can allow it to go on without doing something about it. Abandoned projects, lost money, and time wasted are no way to run a business. When your projects are out of control, the best thing to do is to hire a qualified and experienced project manager to help. Using the best project management consulting firms in Sydney, insures that you are getting experienced professionals who will work to save your projects and business with their expertise.